Up To 70% Off seasonal collections. UP TO 70% off a huge selection of discontinued and seasonal lines. Handbags, messengers, clutches, ladies wallets, ipad cases, cuffs and more! Brands include Longchamp, IL Bisonte, Groom, Bric’s, PB0110 and much more! 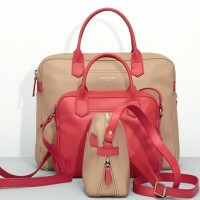 Limited Le Pliage on sale.